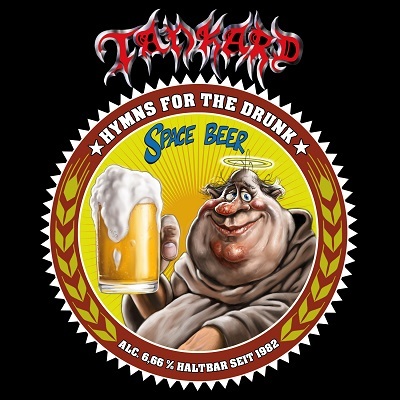 As if following the German Purity law for beer, the label of this product says it all: Best-Of hymns in order to celebrate a history of malt beverages, from the German Metal hit factory Tankard who has been in business since 1982. Among those 17 songs you can find uptempo all time classics like „Empty Tankard“ and „The Morning After“ as well as grooving hymns (We’re coming back) and legendary songs like „Zombie Attack”. Naturally there are some classics fan would be missing, but those Thrash legends from Frankfurt do have a huge back catalogue to choose from, and this selection should be sufficient to turn a bad day into a good one. Well, it might actually work better if you also have this kind of malt beverage at had as well…. 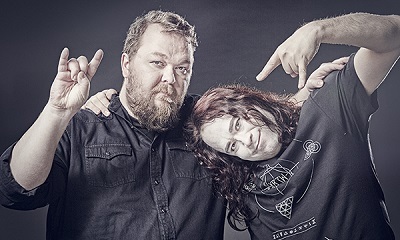 Summing up, Hymns for the Drunk is definitely a must-have for a Metal party, the only thing topping that would be the band live in your living room (plus a limitless supply of beer). Also a great gift for those who have not fallen in love with this band yet, or to make some headbanging friends happy.